Elaine Bander will be visiting Halifax on October 25th to give a lecture called “Jane Austen’s Fanny Price and Lord Nelson: Rethinking the National Hero(ine).” This exciting event is co-sponsored by the Jane Austen Society of North America (JASNA) and the Department of English at Dalhousie University, and the talk will be held in the Marion McCain Arts and Social Sciences Building (6135 University Avenue, Halifax, Nova Scotia), Room 1198, at 3:45pm. Elaine is President of JASNA Canada, President of The Burney Society, and Coordinator of the 2014 JASNA AGM, which will be held in Montréal, and will focus on Mansfield Park. She is an excellent speaker and we’re very much looking forward to both her visit and her lecture. She graciously agreed to answer a few questions about her research and her abiding interest in Austen’s novels. What’s the most memorable thing you’ve done this year to celebrate the 200th anniversary of the publication of Pride and Prejudice? Ha! I baked a Pride and Prejudice birthday cake for the JASNA-Montreal folks. We decided on short notice to have a birthday celebration at my house. I am an excellent free-range cook, but not much of a baker. I baked a quite acceptable yellow butter cake and iced it and EVEN DECORATED IT to look like a copy of Pride and Prejudice (sort of). Someone asked me for the recipe. Success! What’s your perspective on why Austen’s novels are so popular with twenty-first century readers? I think Austen’s novels ought to be popular with everyone, everywhere, because Austen took such care to use careful, non-dating language, to avoid cultural clichés, and to observe psychology truthfully, but there’s no denying that she’s hit the big time in recent decades. I’m afraid I have to attribute her new success to multimedia: films, TV, pop cultural icons. This probably brings new readers to Austen. Perhaps they are looking for the romance, or quaint formal manners, or pretty décor and floaty dresses, that were so attractive in the films. I am confident, however, that anyone who actually reads the novels stays for brilliant writing and memorable characters. Austen’s novels are particularly brilliant at involving each careful reader in the same experiences as her heroines. We really do inhabit the novels. But as for the sudden popularity — that has to be due to the films, the pop-culture gateway. The novels haven’t changed. When did you first discover Austen, and which novel did you read first? 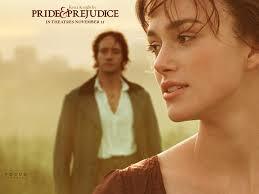 Ah, confession: When I was about twelve, a friend gave me a copy of Pride and Prejudice to read. She knew I liked to read 19th-century novels and thought I’d enjoy this one. I couldn’t get past the first chapter. The dialogue between Mr. and Mrs. Bennet — can you believe it? — seemed so choppy and stilted to me. “Prejudice” had led me to expect a Brontë-esque tail of racial discrimination and rebellion. No Jane Austen for me! 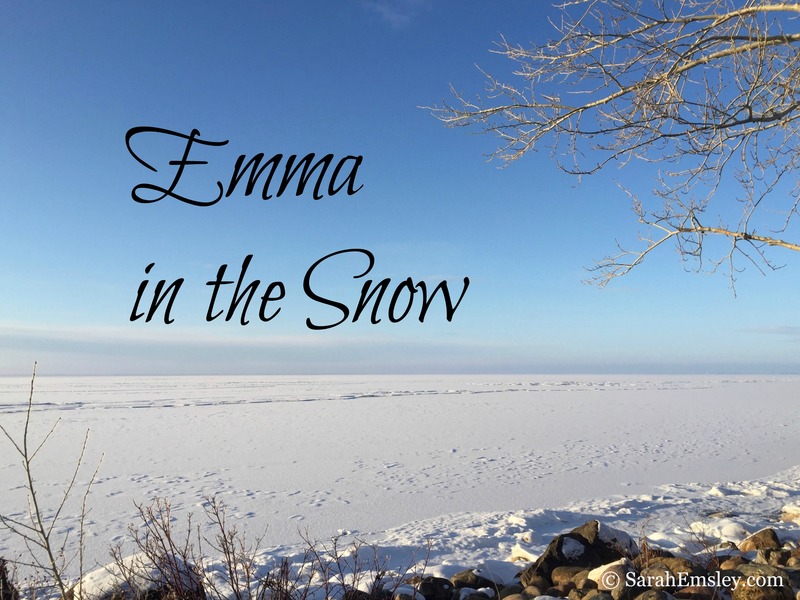 Then, in my third year as an undergraduate, I took a 19th-century novel survey course, and read Emma. Revelation! What brilliance! I never looked back. In the next two years I read everything Austen wrote, and then began a PhD for which I eventually wrote a dissertation on Austen. You’ve been very active in The Burney Society for many years, as well as in JASNA. Tell us a bit about the intersections between your work on Jane Austen and your work on Frances Burney. Which of Burney’s novels would you recommend to an Austen fan who hasn’t yet discovered her, and why? I think I’m the only person alive who read a Burney novel before she read an Austen one. In my first year at McGill, living in the Royal Victoria College, I poked around the RVC library for fun reading. 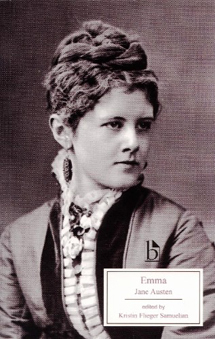 One of the novels I read was Burney’s first novel, Evelina, the book that made her famous in her 20s. As a consequence, I’ve tended to read Austen in relation to the books that she read, the works of the late 18th century. I’ve always been fascinated by how Austen both pays great respect to Burney, her literary mother, but also transforms the novel form that she inherited from Burney. Those transformations provide real insight into Austen’s interests and aims. She is always writing against readers’ expectations. Most people suggest that readers should start with Evelina: it’s light, bright and sparkling, a fun book, and, like Pride and Prejudice, a Cinderella tale. But Pride and Prejudice is Austen’s least typical novel. I think Camilla meant more to her — her name appears on the subscription list! — but I hate to recommend Camilla. It’s 5 volumes long, and many people find Burney’s repeated deferral of resolution maddening. After all, the heroine and hero get engaged halfway through: what can possibly go wrong? 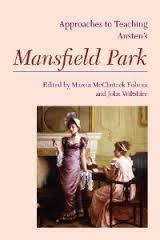 But I find it fascinating, especially in relation to Mansfield Park, which I believe Camilla at least partly inspired. 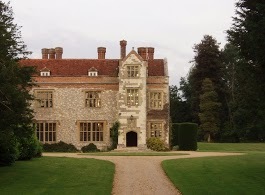 In 2011 you were chosen to participate in JASNA’s International Visitor Program, which provides funding for a six-week trip to Chawton to work on an Austen-related project, while also working with the staff at Jane Austen’s House Museum, Chawton House Library, and/or St. Nicholas Church. What was your research project, and what was it like to work in Chawton for six weeks? Did you feel that the experience helped strengthen connections between the North American and British Jane Austen Societies? The year (2011) when I was the IVP, it was just for a month, but that felt about right to me. 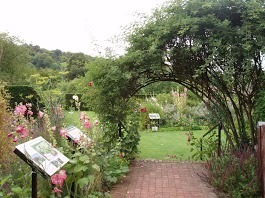 Nobody much wanted me to do any work for them — in the end, my only contribution to the Chawton community was to help prune the roses in the rose garden at CHL. The staff were short-handed and the roses were clearly desperate! I loved the experience of living in the country, Jane Austen’s country. Like Jane, I had to walk a mile into Alton to do any chores, buy food, stamps or newspapers. Or like Jane, I could choose the lovely walk across the fields, woods and sheep meadows to Upper Farringdon. 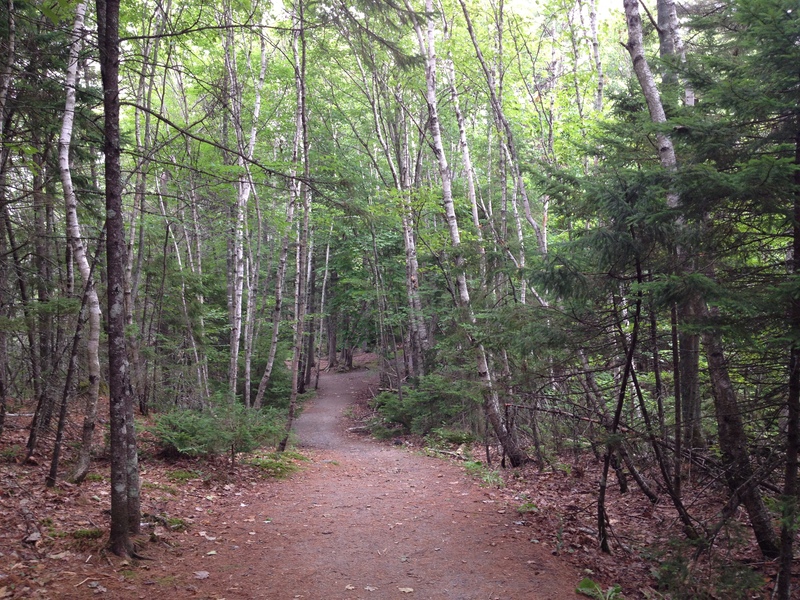 Jane walked there regularly to visit a friend. I walked to visit the excellent Rose & Crown and admire the pretty village. On my last weekend, I continued over further fields and hanger woods to Selborne, up onto Selborne Common and down the Zig Zag path to visit the Gilbert White House. Because I stopped for tea afterwards, I missed the last bus back and had to walk home: four miles each way. I really cherished being part of the Chawton community for a month: dropping in to the Jane Austen House Museum, gossiping with CHL staff, watching the bell-ringers practice in St. Nicholas’s on Monday evenings (and being invited to pull a bell! 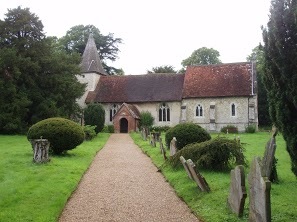 ), occasionally speaking with the tourists who were always walking up the drive to the church, meeting people on the walk into Alton, keeping track of the livestock, waking to the sounds of the rescue hens, the horses next door, the sheep nearby, the wood pigeons cooing…. When I returned for four days this summer, I was greeted like a friend. It’s a wonderful program, and certainly builds a trans-Atlantic community! But of course my main reason for being there was the Library. I had proposed to research material for compiling “A Common-Place Book for Fanny Price.” I view Fanny as Austen’s only really intellectual heroine. She is a reader. The only Austen character who is said to keep a commonplace book (a collection of extracts from reading) is Mary Bennet, so clearly Austen didn’t think much of the practice, but I wanted to find source material that might have inspired Fanny’s values and courage. I found more than I bargained for. You’ll hear about some of that. You’re the Coordinator for next year’s JASNA AGM, October 10-12, 2014, entitled “Mansfield Park in Montréal: Contexts, Conventions, and Controversies.” What are some of the highlights of the program that we can look forward to, and in what ways will the AGM help us move beyond the so-called “Fanny Wars,” in which readers argue (often vehemently, as you know!) about the perceived strengths and weaknesses of Austen’s most controversial heroine, Fanny Price? Well, first of all, I hope our conference will inspire people to return to the novel and read, without prejudice, what Austen wrote. She is so careful to describe the behaviour and the values of all of her characters. If people read carefully and fairly — as each Austen novel invites us to do — they must sympathise with Fanny’s struggle for self-knowledge and moral courage. That doesn’t mean seeing her as a little goody two shoes. Austen doesn’t do perfect. We are hoping for a reader’s AGM, asking people to return, critically, to the text, but we’re also planning a lot of fun activities. We’ve commissioned a comic play about rehearsing Lovers’ Vows at Mansfield. We will have Glee Singing and Star-Gazing and walks in the Wilderness and a wonderful Ball. We have great plenary speakers, all new to JASNA: Robert Miles will give us a thought-provoking talk about Austen’s values. 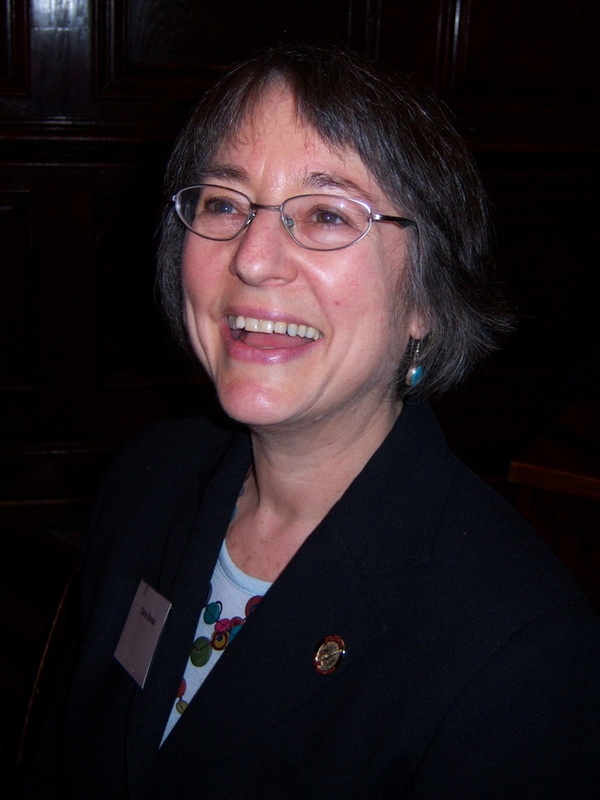 Lynn Festa will provide a dynamic discourse on MP and noise. And Patrick Stokes, descendant of Charles Austen, will leave us in stitches while he tells as about the Georgian Royal Navy. We’ve worked closely with the hotel’s executive chef to prepare a menus that both references the novel and uses our best seasonal terroir. And our tote bags will be very, very special. Do you have a favourite quotation from Mansfield Park? Interesting question! Not really. 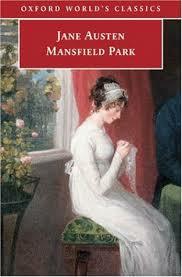 Mansfield Park is particularly rich in entire, almost allegorical scenes rather than single speeches. But I frequently cite Fanny’s remark to Mr. Crawford when he’s walking with her in Portsmouth and asks her to be his moral guide: “‘We have all a better guide in ourselves, if we would attend to it, than any other person can be’” (Vol. 3, Ch. 11). I think this statement is key to all of Jane Austen’s works. Thanks, Elaine! Now, dear readers, it’s your turn. Do you agree that what Fanny says is key to Austen’s works? What are your favourite quotations from Mansfield Park, and do you have any other comments or questions for Elaine? We hope to see you in Halifax on October 25, 2013 — or in Montréal in October 2014! P.S. 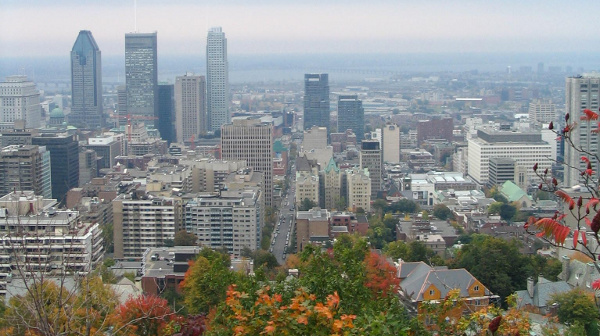 You can read the Call for Papers for the 2014 AGM in Montréal here. The deadline for proposals is October 15th, so make haste, make haste. P.P.S. JASNA’s International Visitor Program is now accepting applications for 2014, and you can read all about the program and the application process here. Write a persuasive proposal, and you, too, could live and work in Chawton for a few weeks. I have a good deal of sympathy for Fanny (and a higher-than-most opinion of Lady Bertram), but, suspect my way of thinking is too similar to hers and accordingly reserve the bulk of my admiration for Mrs Grant. Speculation is such a great choice of card game for the characters in MP. What do you admire most about Mrs. Grant?